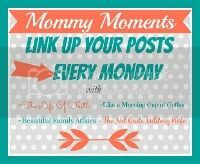 LIFE is better in PINK: Mommy Mondays: Doing Something for ME! Happy Monday! Normally all of my Mommy Mondays post feature my sweet girls! However, today I thought I would talk a bit about doing something for ME! 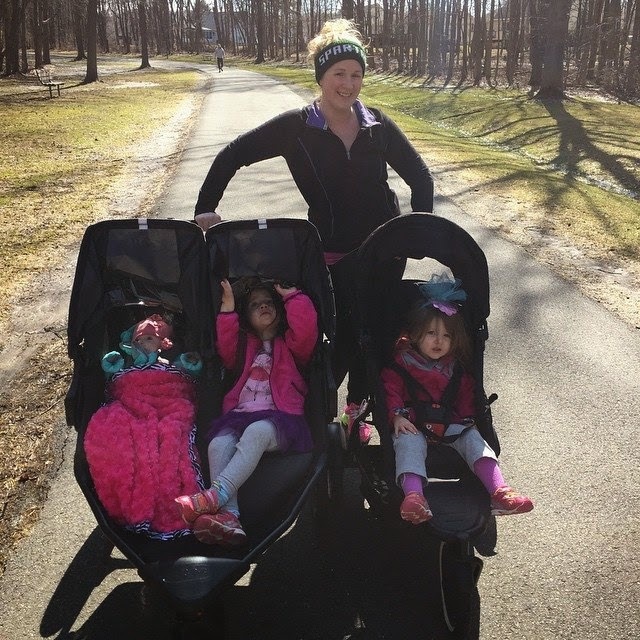 When you're a mommy, your own needs tend to get pushed way to the back burner - especially when you have a newborn at home! They depend on you for everything! But a healthy and a happy Mommy means healthy and happy kiddos! So I decided to revisit my New Years Resolutions and really get working on #1 - and that is losing the baby weight! This was the GAMECHANGER for me! After being stuck at the same post Paisley weight loss (in case y'all forgot I gained 50 pounds with her...yes you read that correct), drinking Shakeology for 7 days straight gave me a FIVE POUND weight loss. 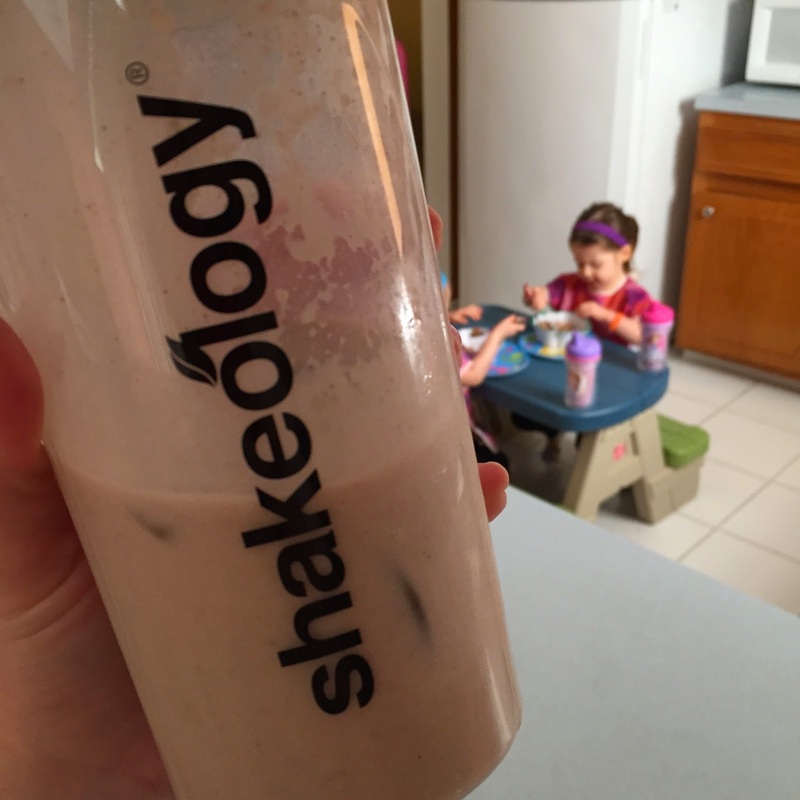 I didn't change a thing except replacing a typical breakfast with Shakeology! I lost five pounds in one week and I had so much more energy! Plus, if you are a Mama you know that sometimes you only have one hand to eat a meal with! 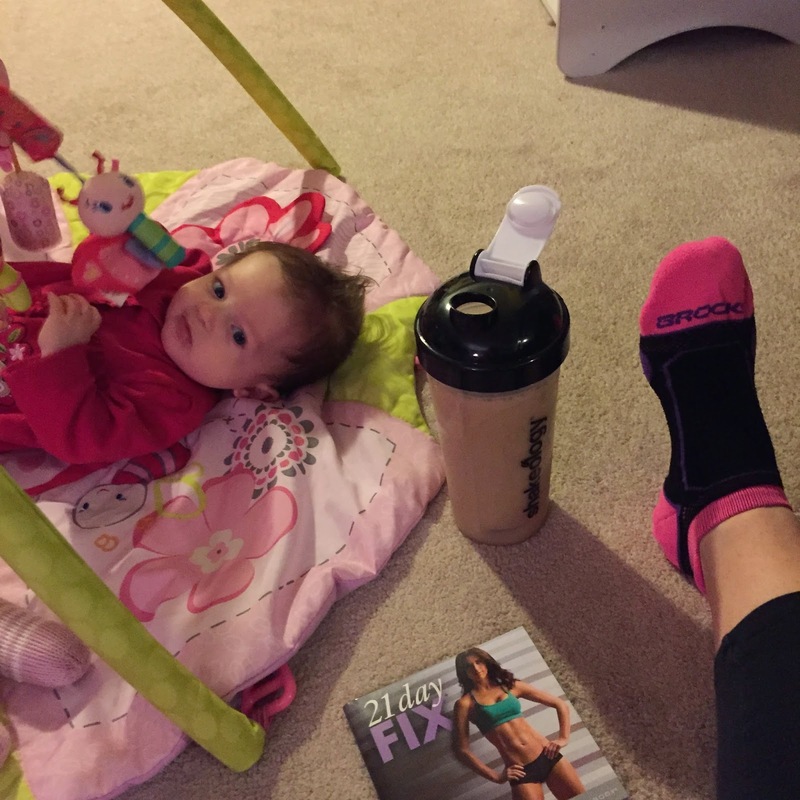 You can drink Shakeology while having a baby on your hip and helping your older two children get their breakfast! I am in love with these workouts! They are 30 minutes, so you can't really make an excuse not to do them - everyone can find 30 minutes in their day! I try to do it first thing in the morning before my older two girls are awake and right after I've nursed the baby so she is content to hang out in her bouncy seat and watch me! There is also a really nice variety with these workouts - weights, cardio, yoga! I love it!!! Plus, I do not have to wait for someone to watch the girls so that I can head to the gym. I can do this in the comfort of my living room anytime! 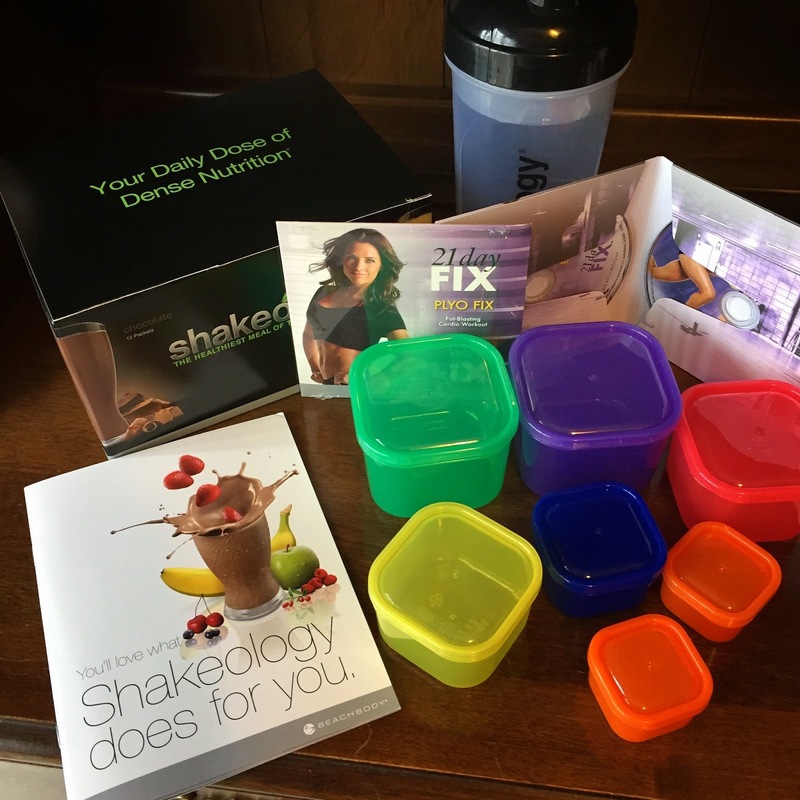 In addition to the awesome workouts, there is a wonderful nutrition piece that comes in your 21 Day Fix Package. You get the cute color coded portion control containers (shown in my first picture) and an entire book full of recipes and clean eating ideas! It's a really complete program! I am such a believer in Beachbody - especially Shakeology - that I have decided to become a coach and help others to find the success and happiness that comes with being a healthier version of you! Whether you have weight to lose or just want to feel healthier and have more energy - I can help! I would be so so so happy to help you!